Man, I love me a bit of Halloween! It’s the only time after Uni where you can acceptably go a bit full-on with your fancy dress. That is, if you can find other people to go all out with you! You know the dilemma – you love your friends but they just don’t feel the same way about fancy dress that you do. My pals are the equivalent of Regina George counting ‘but I’m wearing cat ears?’ as a serious fancy dress effort and I am mental Cady Heron, slathering myself in fake blood and wielding handmade fake guts as accessories. Le sigh. Fortunately, my local fancy dress store Escapade Fancy Dress offered to stock me with some gloriously ghoulish supplies to create a makeup look. Cheers guyssss. 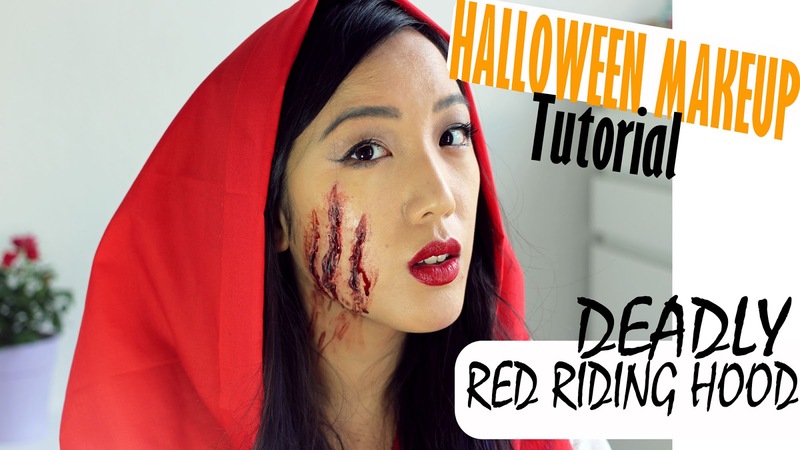 I decided to do ‘Deadly Red Riding Hood’ and it’s the perfect Halloween makeup if you’re not looking for something too OTT. The good news? It’s actually quite easy! Check out the video and let me know what you think! What are your Halloween plans?! If you liked this, tweet me your thoughts @FaceValueBlog or send me a comment on Facebook! Previous Post Christmas Is Coming: Gifts All Wrapped Up At Lush Cosmetics!